Worried about your caravan or motorhome being stolen or vandalised? Arlo can help. Arlo Technologies International specialise in smart security cameras with features ready for your home. Arlo Go is a wire-free HD camera for surveillance, security and monitoring, even in remote locations. Ideal for outdoor spaces without Wi-Fi access. By enabling you to monitor your assets, Arlo Go gives you peace of mind when travelling—at hotels, cabins or even outdoors. Requires 4G LTE. 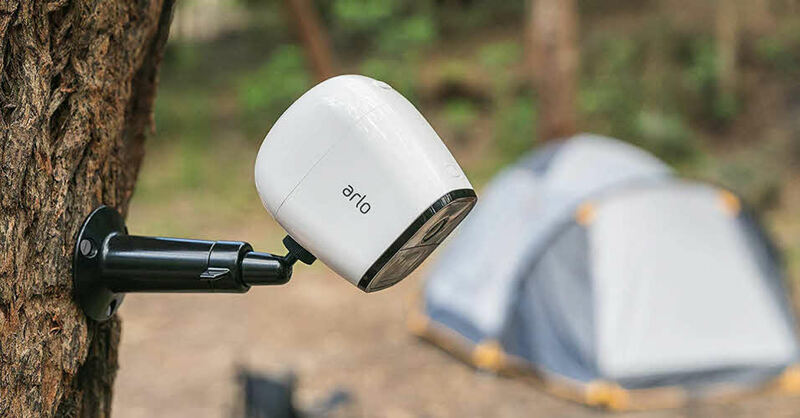 Arlo Go with the Arlo Solar Panel provides endless power to your Arlo Pro or Arlo Go camera without needing to take the camera down for a charge. It has a weather resistant design and adjustable mount for simple installation and includes a 6 ft (1.8 m) long power cable for flexible placement. Bracket for Arlo Go Easily adjustable mount provides 360 degree swivel and 90 degrees of tilt for the Arlo cameras. It’s easy to install and adjust the camera position for indoor, outdoor, wall and ceiling mounting. Arlo Pro2 one of the most powerful and easy to use wire-free security camera’s ever thanks to its 1080P video, wire-free simplicity and the option to plug it into a power outlet whenever needed, all in a small weather-resistant design. Arlo makes it easy to keep an eye on your home, inside and out rain or shine and puts you in control of your home security.